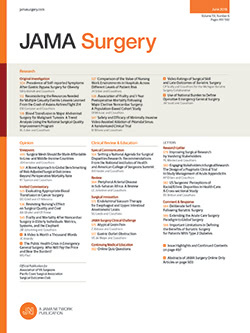 Preoperative Anemia in Noncardiac Surgery: High Prevalence and Worse Outcome? Context: Elderly patients are at high risk of both abnormal hematocrit values and cardiovascular complications of noncardiac surgery. Despite nearly universal screening of patients for abnormal preoperative hematocrit levels, limited evidence demonstrates the adverse effects of preoperative anemia or polycythemia. Objective: To evaluate the prevalence of preoperative anemia and polycythemia and their effects on 30-day postoperative outcomes in elderly veterans undergoing major noncardiac surgery. Design: Retrospective cohort study using the VA National Surgical Quality Improvement Program database. Based on preoperative hematocrit levels, we stratified patients into standard categories of anemia (hematocrit <39.0%), normal hematocrit (39.0%-53.9%), and polycythemia (hematocrit ≥54%). We then estimated increases in 30-day postoperative cardiac event and mortality risks in relation to each hematocrit point deviation from the normal category. Setting, and Patients: A total of 310 311 veterans aged 65 years or older who underwent major noncardiac surgery between 1997 and 2004 in 132 Veterans' Affairs medical centers across the United States. Main Outcome Measure: The primary outcome measure was 30-day postoperative mortality; a secondary outcome measure was composite 30-day postoperative mortality or cardiac events (cardiac arrest or Q-wave myocardial infarction). Results: Thirty-day mortality and cardiac event rates increased monotonically, with either positive or negative deviations from normal hematocrit levels. We found a 1.6% (95% confidence interval, 1.1%-2.2%) increase in 30-day postoperative mortality associated with every percentage-point increase or decrease in the hematocrit value from the normal range. Additional analyses suggest that the adjusted risk of 30-day postoperative mortality and cardiac morbidity begins to rise when hematocrit levels decrease to less than 39% or exceed 51%. Conclusion: Even mild degrees of preoperative anemia or polycythemia were associated with an increased risk of 30-day postoperative mortality and cardiac events in older, mostly male veterans undergoing major noncardiac surgery. Future studies should determine whether these findings are reproducible in other populations and if preoperative management of anemia or polycythemia decreases the risk of postoperative mortality.